The probable origin of the name of this district goes to the legend which says that a hermit used to perform tantrik rituals by lighting nine lamps or nau diya, on this newly formed island thus giving it a name of Naudiya and later Nadia. 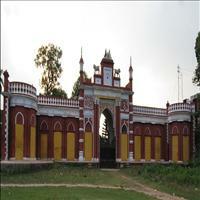 The headquarters of this district is Krishnanagar, an ancient town. Nadia reached the height of its prosperity during the reign of Maharaja Krishnachandra. It was this king who fought the battle of Plassey with Robert Clive against Shiraj-ud-Daulah. 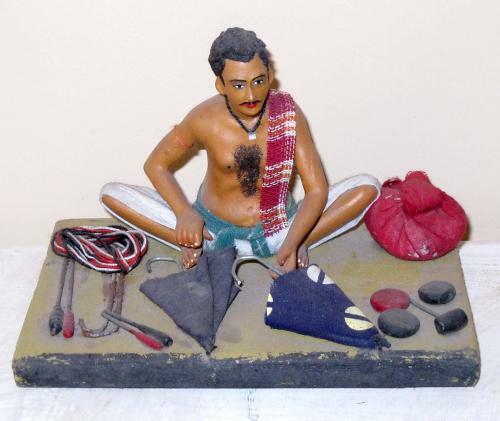 Today Nadia is famous for its beautiful earthen sculptures made by the local artisans.<br />Teaching Sanskrit has been the unique tradition in Nadia. 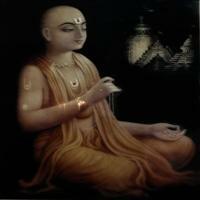 It was in Nadia that sage Chaitanya Mahaprabhu developed the Vaishnav sect preaching devotion to Lord Vishnu. Located in the heart of the Bengal delta, Nadia has a fertile land with five major rivers Bhagirathi, Jalangi, Mathabhanga, Churni and Ichhamati flowing through it. Bound by River Hooghly in the west, Murshidabad is in the north and North 24-Parganas and capital of the state Kolkata fall to the south of Nadia. Agricultural activity is of high standard with rice and jute being the major crops. A small village barely 20 km from Krishnanagar is famous for its hand woven cotton sarees, known as Tant sarees. A weekly market held every Sunday, brings artisans, from far and near, to display and sell their works. Once the capital of Bengal in the 12th century, during the reign of Sen Rulers, today Nabadweep is better known as the birth place of Chaitanya Mahaprabhu. Located at the confluence of the Bhagirathi and Jalangi rivers, 120 km north of Kolkata, nine islands or dweeps that rose from the Jalangi River gave Nabadweep its name. \r\nNabadweep is famous as Varanasi of Bengal. It is one of the most important Hindu pilgrimages and famous for its sanctity. It is the centre for the traditional Sanskrit schools. Nabadweep is also where Shaiva, Buddhist, Shakta and Vaishnav faiths converge. There are nearly 185 temples in Nabadweep alone. 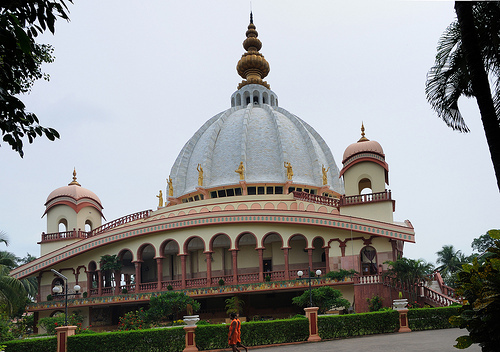 Although each one is worth a visit, the most famous is the Sonargouranga, the temple with the golden statue of Sri Chaitanya. The mall town is over crowded during the Rash festival held in the months of Kartik (November). It was here that the famous battle between the British and the Nawab of Bengal was fought in 1757. Plassey is 172 km from the capital city of Kolkata along the national highway. A 15 meter high coloumn erected by the British to commemorate their victory still stands witness to the history. Earlier capital of King Krishnachandra, now this small village is famous for the beautiful dolls of clay and pottery work. Situated on the banks of the Jalangi River, around 118 km north of Kolkata, Krishnanagar still retains its grandeur with the royal palace or the Raj Bari and a beautiful Durga temple in the grounds. Several cannons used in the battle of Plassey can still be seen on the grounds of the royal palace. Built in Mughal architectural style this royal palace has intricate carvings. Another major attraction is the Roman Catholic Church outstanding in its architecture and sculpture. Inside the church, the life of Christ has been depicted in 27 oil paintings. The grounds contain beautiful wooden statues sculpted by Italian artists.